First off, I know a few other bloggers and writers in Pittsburgh have already tackled this topic, and did a much better job than me, so definitely make sure you check out the posts by Mark Madden and The Pensblog. Lemieux is an honorable man. I am very sure that he meant every word that he said. After all, Lemieux had to put up with being head-hunted during his playing days as well. Lemieux and the Penguins employ two of the best players in the league, Sidney Crosby and Evgeni Malkin, on a team that sets out to win a Stanley Cup every single season. By adding more toughness to the team, they are not only looking out for the star players across the league, but his two biggest investments. Adam Proteau calling Lemieux a hypocrite is a bit of a stretch, just like calling Proteau a big-time hockey writer is a bit of a stretch. Proteau's article oozes with hatred of Lemieux and the Pens,on top of misinformation and irrational thinking. Lemieux voiced his opinion three years ago. He wanted the league to change in 2011. It is now 2014, and the NHL has done nothing to change its ways in terms of policing on-the-ice violence. Lemieux is not a hypocrite, he's just a realist. Lemieux watched his best player, Crosby, get assaulted game-after-game during last year's postseason, with not one of Crosby's teammates, or the NHL doing a damn thing about it. Lemieux is also the only owner in the NHL that has publicly criticized the league for allowing this kind of behavior without any real punishment. All the while, the rest of the league continues to employ goons like Shawn Thornton and John Scott, who are talent-less thugs, that literally get celebrated by the fans and the league. The Penguins tried to win by talent alone, by using skill alone. This should be how the league is, that is the league that Lemieux wanted, but the NHL won't give up its ancient ways. It's pretty hard to win a playoff series with skill alone when your best player is constantly getting hit in the head without the referees or the league doing a damn thing about it. Remember that time where the NHL actually tried to protect its star players? Neither do I. Also, is Lemieux not allowed to change his mind? Does Lemieux have to own a statement he made in 2011 forever? He wanted the league to change but the league refuses to. If you can't beat them, join them. I am sure Lemieux would prefer not to have to turn to guys like Downie and Carcillo. I am also sure Lemieux would rather not have to worry the other team hitting Crosby in the head on a nightly basis without worrying about any time of real consequence. Also, it's not like Downie can't play. He actually has some skill to offer. Hell, he used to play on the same line as Steven Stamkos, and some are suggesting that he gets a chance to play with Crosby and Malkin this season. 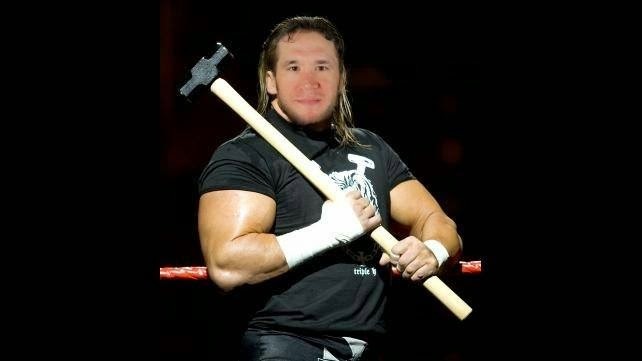 If Lemieux was really a hypocrite he would bring back Steve MacIntyre, give him a sledgehammer, blast Triple H's theme music in Consol Engery Center, and like Big Mac go kill the other team. Instead, the Penguins are just trying their best to have some much needed toughness in their lineup without sacrificing skill. Furthermore, anyone actually criticizing the Penguins for bringing in Downie and Carcillo must not have watched the Pens' bottom-six forwards last season. The Pens have actually improved their roster drastically, and yes that includes acquiring more toughness. If you have a problem with that you can blame the NHL, not Lemieux. Hell, the Pens should just let Downie and Carcillo skate on the same line, with their hands wrapped in foil, carrying steel chairs instead of hockey sticks. Have them go aim for the opposing team's best player's head, then they're really start to fit in with the rest of the league.